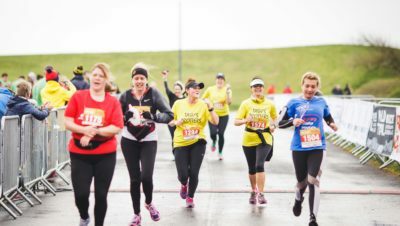 Home » News » Road Running » Brighton Marathon is Coming! We’re now into Spring marathon season and one of our favourite races is coming up this weekend – the Brighton Marathon! We were there for the very first one and we’re looking forward to celebrating their 10th! 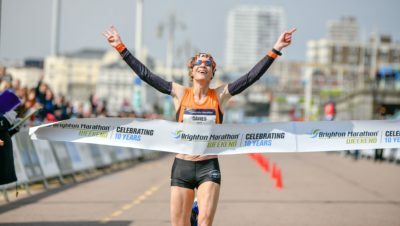 Runners vote with their feet on Brighton and the weekend (which also includes the 10k) has grown from 7,000 runners to 20,000 in those 10 years. So what is it that makes Brighton Marathon so special? Firstly, you have to say it’s the location. It’s not only a beautiful route to run, it’s also a fantastic city to visit and for spectators to hang out in. Runners get to experience the seafront, the city centre and the finish at Madeira Drive. Then there’s a huge selection of eateries for post-race fuelling and catching up with friends and family. It’s also a fantastically inclusive event, with great support all the way along the course for all runners. 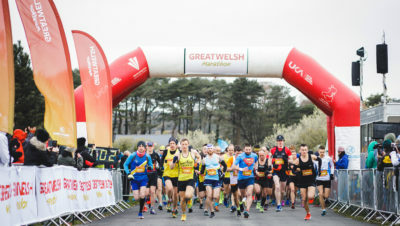 As there’s also a 10k, which starts and finishes at the same location as the marathon, and a traffic-free cycle event new for this year, there really is something for everybody. But it also has a reputation for attracting a great elite field. It’s the second fastest marathon in the UK and previous winners include Alyson Dixon, Helen Davies, Eunice Kales (with the course record of 2.28.50), Duncan Maiyo and William Chebor (with the course record of 2.09.25). Kenyan runners usually feature prominently, as do top British runners. A certain Chris Thompson finished 3rd in the first Brighton Marathon. Brighton has always taken the issue of reducing the environmental impact of the race very seriously. They already use paper cups, recycle plastics and cardboard used in the event, collect and recycle discarded clothing and issue only digital race instructions to participants. However, in 2019 they are stepping up their sustainability game even further. This year stand pipes will be used at some water stations, which is expected to reduce the use of plastic bottles by a massive 40%. 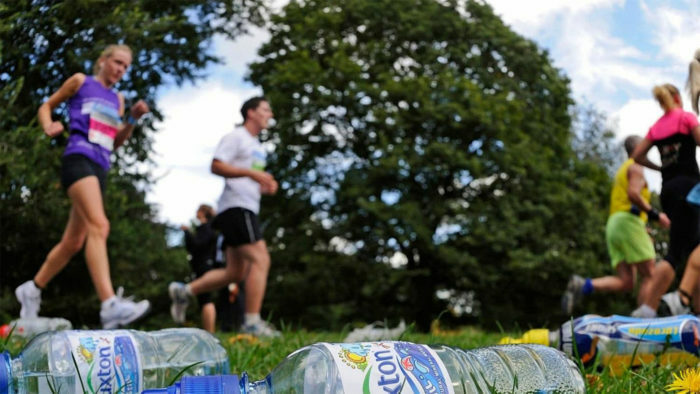 They will also be issuing reusable drinks bottles to all finishers and making drinking water accessible to them, again instead of giving runners single use plastic bottles at the finish line. This seems like a great way of reducing plastic waste. They are also issuing runners with reusable kit bags to use as drop bags and also for picking up their goodies, instead of a plastic goody bag. In addition, they’ve worked with all their partners and suppliers to avoid the use of single use plastics. Next year they plan to do even more to reduce their plastic use. 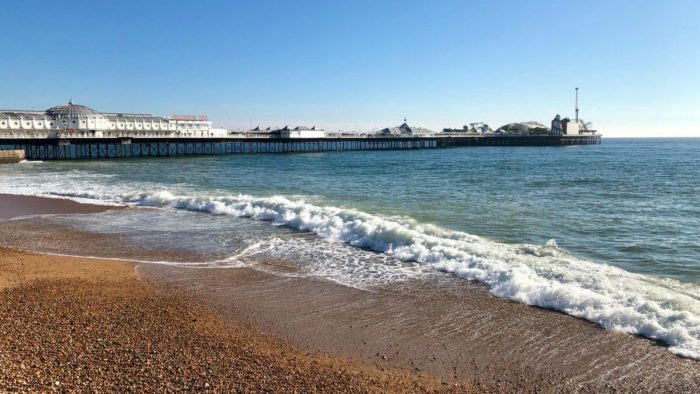 So Brighton Marathon has a huge amount going for it, from its fantastic organisation, to its beautiful route, to its commitment to the environment. If you’re taking part – good luck and enjoy it! 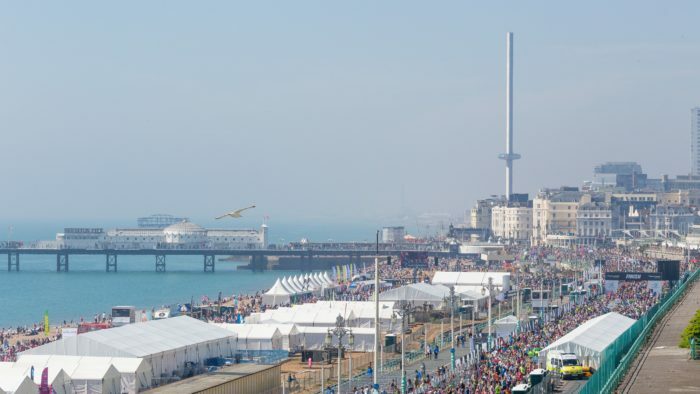 Find out more about Brighton Marathon weekend HERE.